Do you have a trade-in vehicle, but you’re not sure what it’s worth? 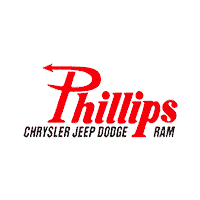 At Phillips Chrysler Jeep Dodge Ram in Ocala, FL, you can take advantage of our free car trade-in evaluation tool to find out how much we’ll pay you for your used vehicle today. All we need is a few pieces of information about your trade-in vehicle. It only takes a few short minutes, and the number we give you can be used at our dealership right away! Ready to find our what your trade is worth? Fill in the short prompt below, and come visit our Ocala, FL auto dealership for a test drive you’ll never forget.